Underfloor heating is widely regarded as the most luxurious form of heating. Its radiant heat is evenly distributed throughout the room; wall to wall, floor to ceiling. Its heating profile means rooms are warmer at floor than ceiling level ensures not only warm feet and a clear unstuffy head, but warmth and comfort. We collected some reading material for underfloor heating design and everything about it. All this links submitted below, download them for free. 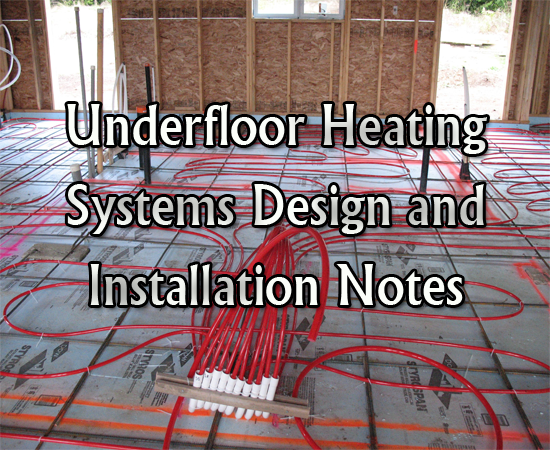 Download a collection of pdf notes for the design of underfloor heating systems.